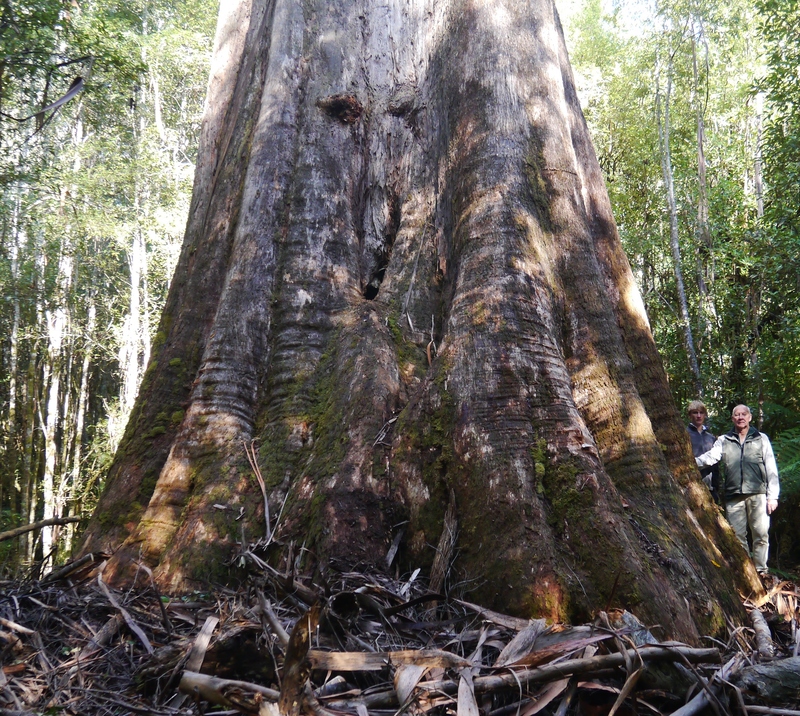 LARGEST TREE IN AUSTRALIA - joint crown shared with "Big Foot". There is no track to the tree, and to get there you need to drive down a Forestry road. 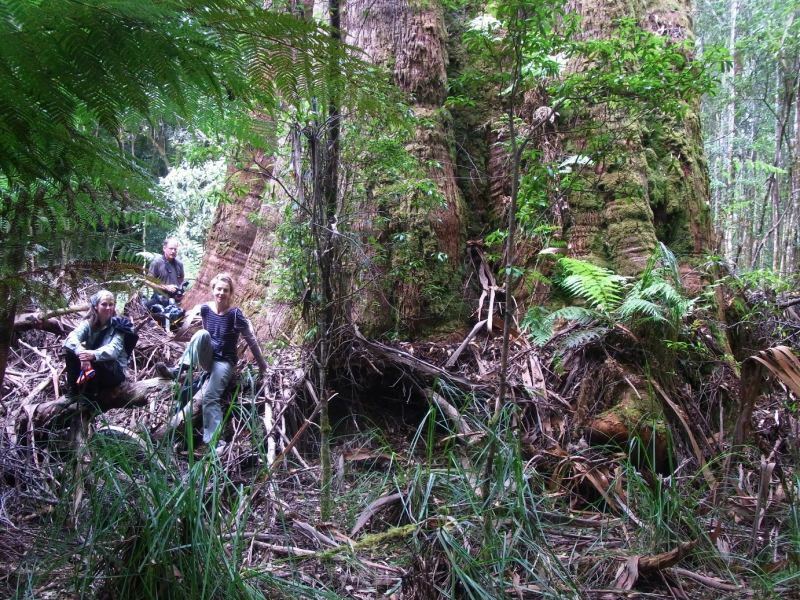 If you want to drive down this road, contact Forestry Tasmania at the Geeveston office. No matter which way you go in, you start through 20-30 year old re-growth. 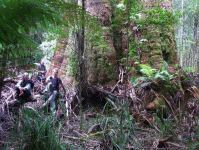 Then there is about a 600 metre off-track walk through some quite thick scrub even if you do know the best way in. Inexperienced walkers should not attempt trekking to the tree.